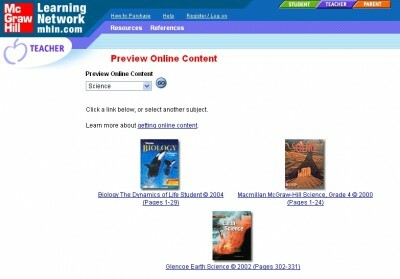 Found at MHLN.com, the McGraw-Hill Learning Network offers interactive textbooks to all the students who sign in with their own class codes. Subjects include science, math, health, literature, world languages and social studies. Once you’ve signed in you’ll be able to choose any of the books that are featured, and flip through its pages just as if you were holding it. And if you’re wondering how or where to get a class code, then the answer couldn’t be easier: your teacher will give it to you. That is, class codes are generated for these teachers who register on MHLN.com. Once they’ve done that, they can create a virtual classroom on the network, and then their students (IE you) can read the online content that is shared just by signing in with that code. Besides, this network comes with a lot of additional resources that are sure to perfect your online learning experience. These include a dictionary, a news archive and (thanks to the company’s association with World Book) an online encyclopaedia. Yes, I know what you’re thinking: “Why do I need that when I have Wikipedia?”. And you have a point. But it’s always good to have everything under the same roof, and to be able to access information without having to leave the site you’re on. And in any case, the information included on World Book is not edited by your average Joe with a couple of axes to grind. This makes it instantly quotable, and (ultimately) that’s what you want when you’re entangled in a research project that could determine your whole academic fate.